Vivo X23 Symphony Edition New Color Variant Announced - Playfuldroid! In November, Vivo had launched the Vivo X23 Symphony Edition smartphone in China. The Chinese manufacturer had made the smartphone available in Arctic Morning and Starry Night Ocean colors. Today, it has announced a new color variant for the smartphone. 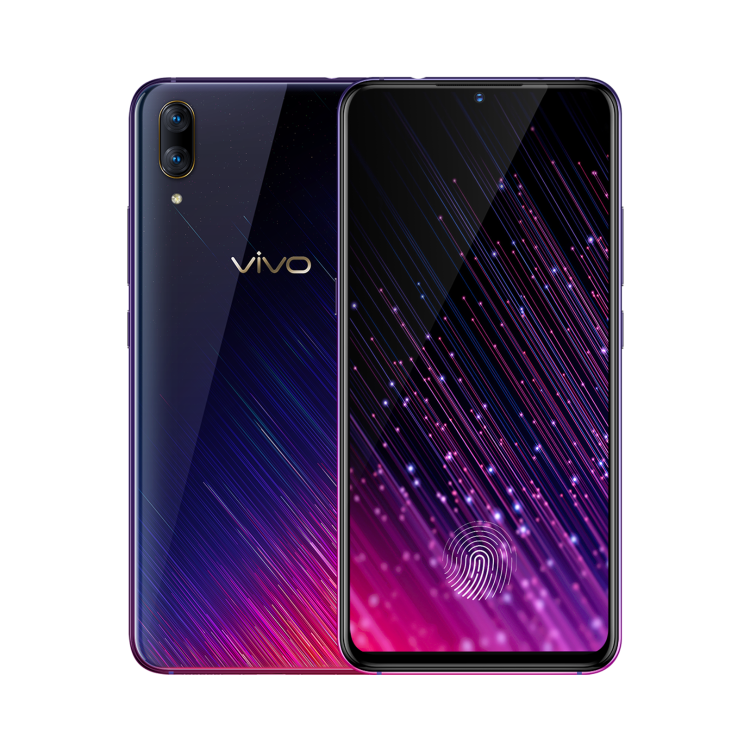 The translated text of the new color variant of Vivo X23 Symphony Edition reads “Star Language New Wish” which is a mix of black, blue and red with diagonal patterns of falling stars towards lower portion of the back panel. Vivo has started the pre-sale of the new color model of the phone with a price tag of 2,798 Yuan which is same as its other color variants. The shipment of the smartphone will begin on Jan. 20. The Vivo X23 Symphony Edition is a lower version of the Vivo X23 phone that is fueled by Snapdragon 670 chipset and 8 GB of RAM. The Symphony Edition has Snapdragon 660 chipset and 6 GB of RAM. It is fitted with a 6.41-inch Super AMOLED HaloView display that supports full HD+ resolution of 2340 x 1080 pixels. For photography, the Vivo X23 Symphony Edition offers users with 12-megapixel + 13-megapixel dual camera setup. On the frontside of the phone is 24.8-megapixel selfie camera. It receives power from 3,400mAh battery.